Dates are a wonderful ingredient for baking. 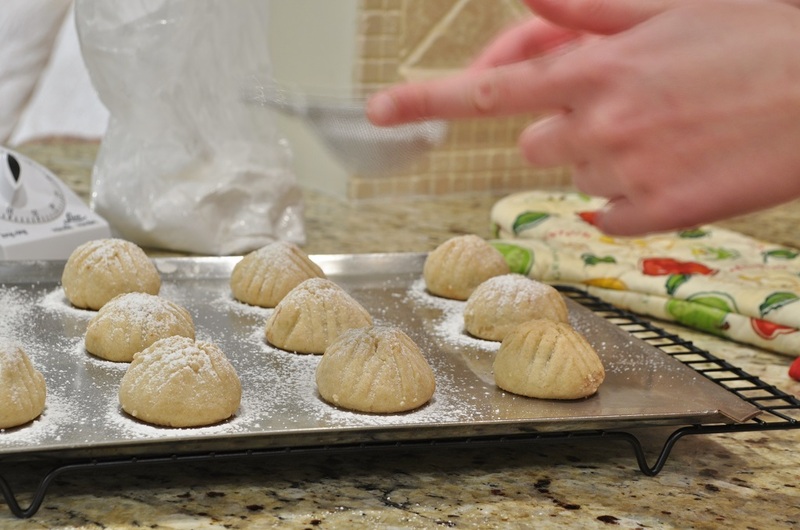 With their natural sweetness, you scarcely have to add any additional sugar to recipes that feature them, such as these ma’amoul. 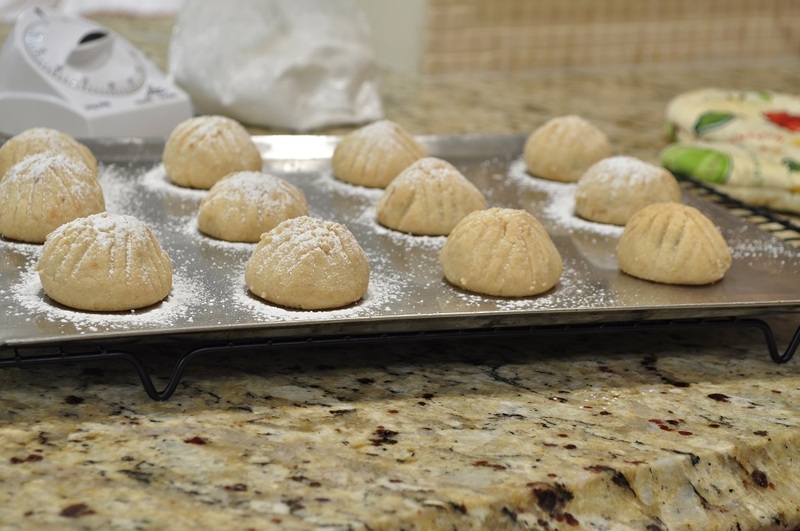 I learned how to make ma’amoul at the same time I discovered malabi, while researching my food theory presentation on Israeli cuisine at George Brown Chef School this past spring. 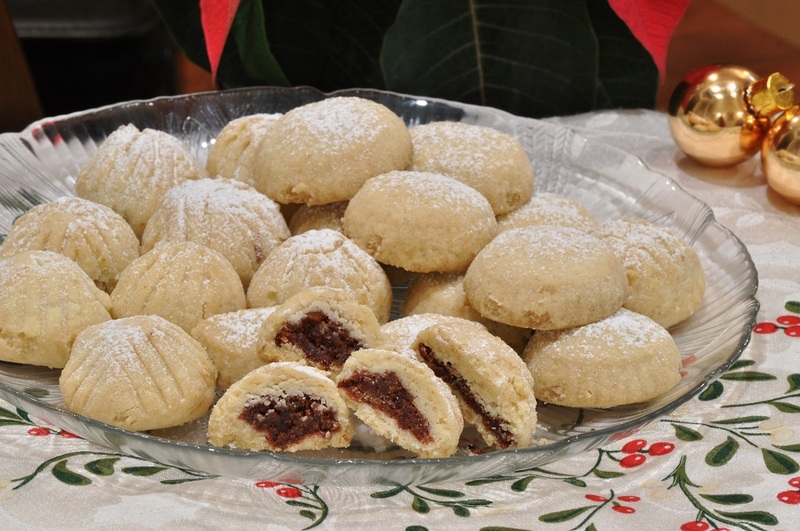 Ma’amoul are seen in many Middle Eastern cultures. They are small, highly decorative cookies, which are kept on hand to serve to guests or made for special occasions like weddings. They are usually made with semolina flour, and have a soft, crumbly texture similar to shortbread. The dough can enclose either a nut or date filling, but I like the date ones best. 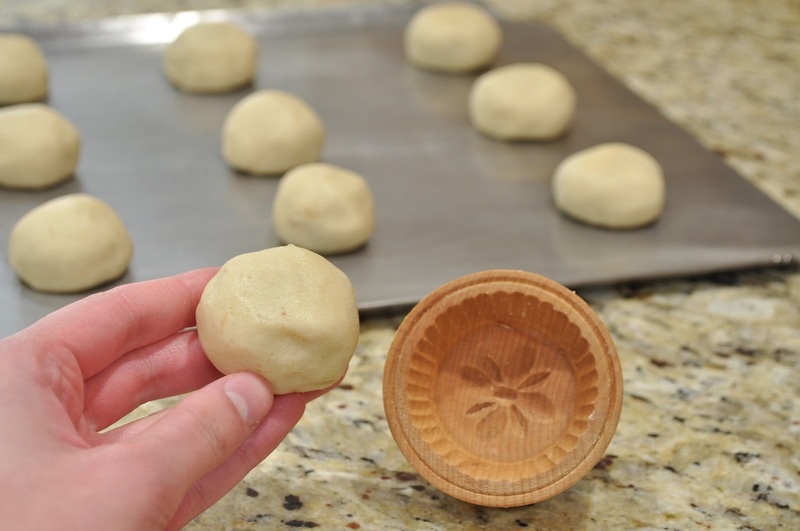 Traditionally, ma’amoul are shaped in carved wooden molds to create attractive patterns on the cookies, and I’m lucky to have a wooden butter mold that is just the right size. However, I find that the impressions in my mold are too shallow to make a very striking presentation, and prefer the less sophisticated, but more noticeable, method of grooving the sides of the cookies with a fork. 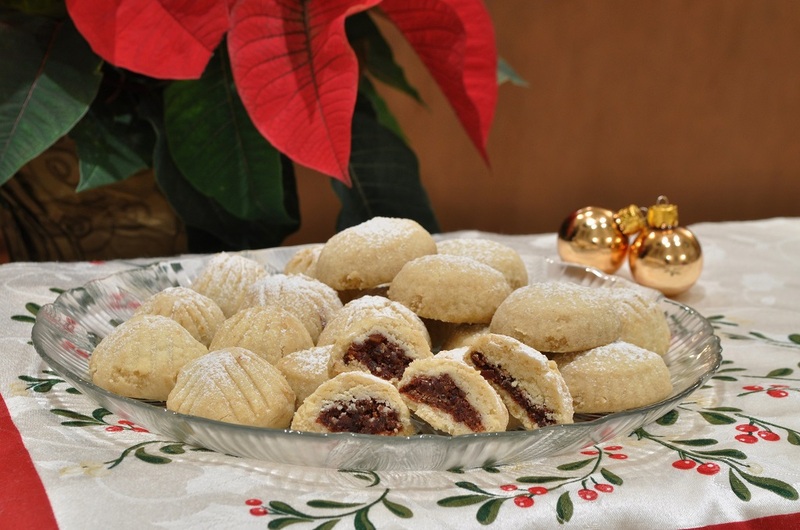 The date filling in my version of ma’amoul is scented with cinnamon and orange blossom water, which gives the cookies an exotic, delicately perfumed flavour. There is no sugar in the filling. The dough itself has only 6 tablespoons in it (and this is a recipe for fifty cookies), and there’s also a light dusting of powdered sugar on the outside. 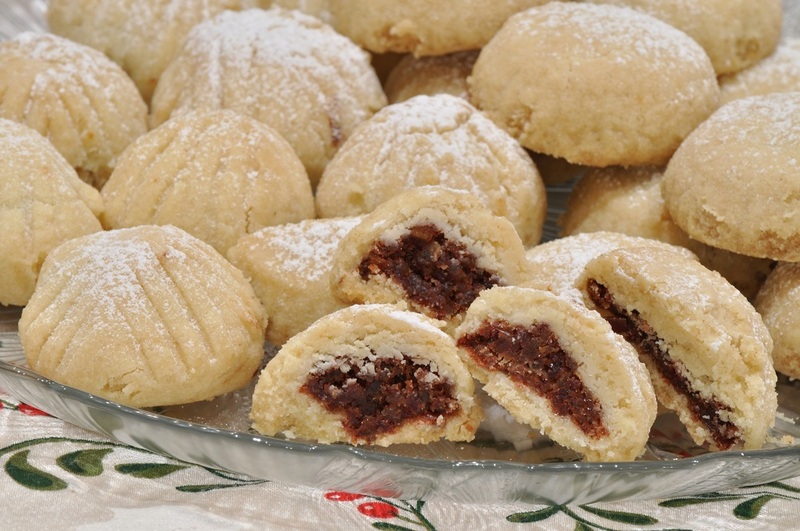 So if you’re looking for a cookie without a lot of refined sweetening, ma’amoul is a good choice. As a matter of fact, the original recipe from The Book of New Israeli Food called for even less sugar than this version, but my Western taste buds needed a bit more sweetness in a cookie. The dough for these cookies is a little tricky to work with: it’s very soft and somewhat inclined to crumble when you try to flatten it into rounds. But it doesn’t really matter if the dough does crack when you wrap it around the filling: just pinch it back together. No one will be able to tell anyway, since you’re going to be either pressing the cookie into a mold or scoring it with a fork later on. 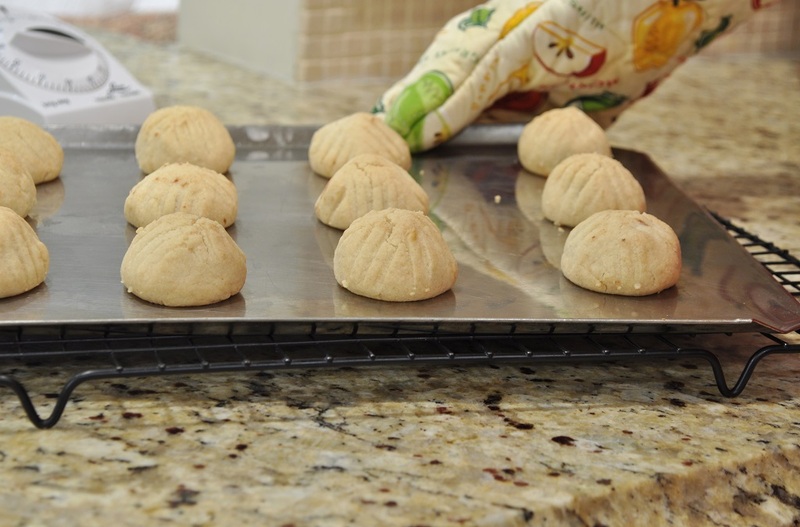 The semolina flour is what makes the dough so delicate: ma’amoul made entirely with semolina flour (which these are not) are the most prized, as they can only be made by the most skilled bakers. Still, I think these are a good start. They are my contribution to the One Ingredient challenge hosted by Laura of How To Cook Good Food and Nazima of Franglais Kitchen. 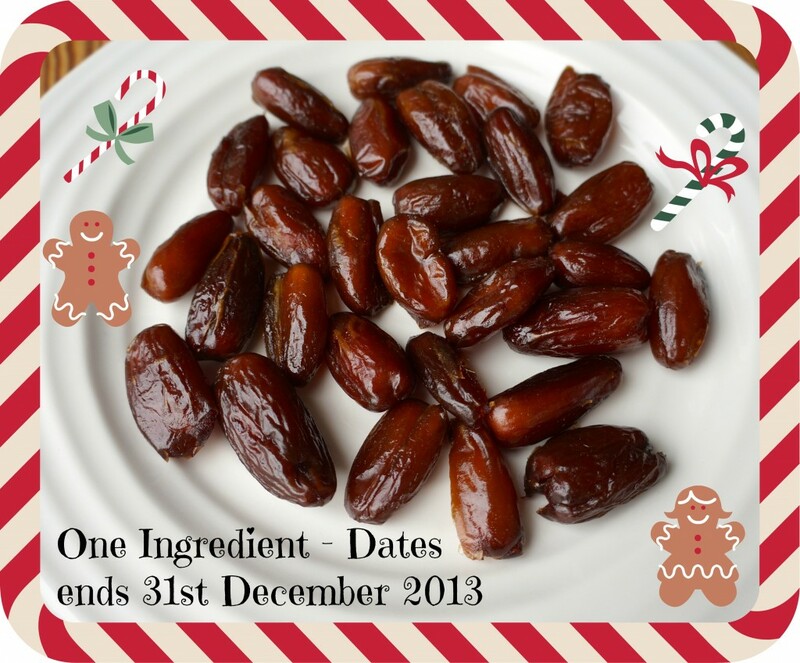 The ingredient for December was dates. For the filling, finely dice the dates, and then use the side of the knife blade to mash them into a smooth paste. 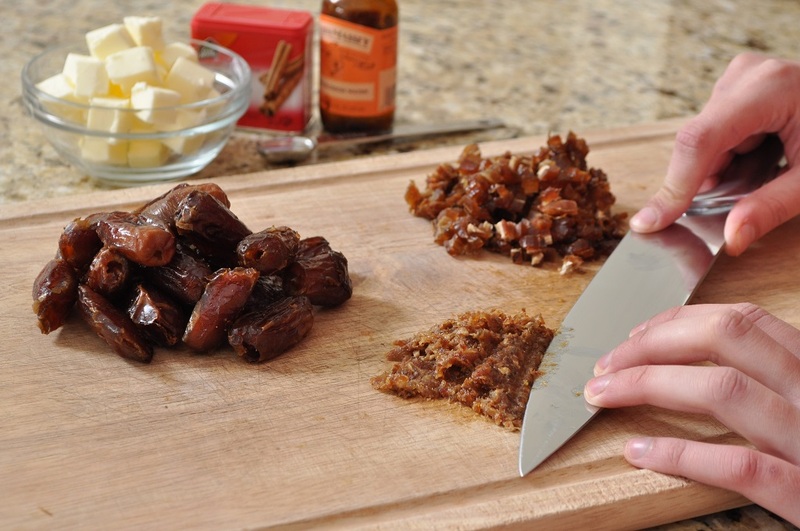 Alternatively, use a food processor to puree the dates. Place the dates in a small bowl and add the cinnamon, orange blossom water, and softened butter. Beat to combine. Set the filling aside. To make the dough, measure the bread flour, semolina, baking powder, and granulated sugar into the bowl of a stand mixer fitted with the paddle attachment. Briefly run the machine on low speed to stir together the dry ingredients. Add the butter, oil, and orange blossom water, and mix on low speed until the liquid is incorporated; then, raise the speed to medium and mix until a soft dough forms. Preheat the oven to 350°F and line two sheet pans with parchment paper. 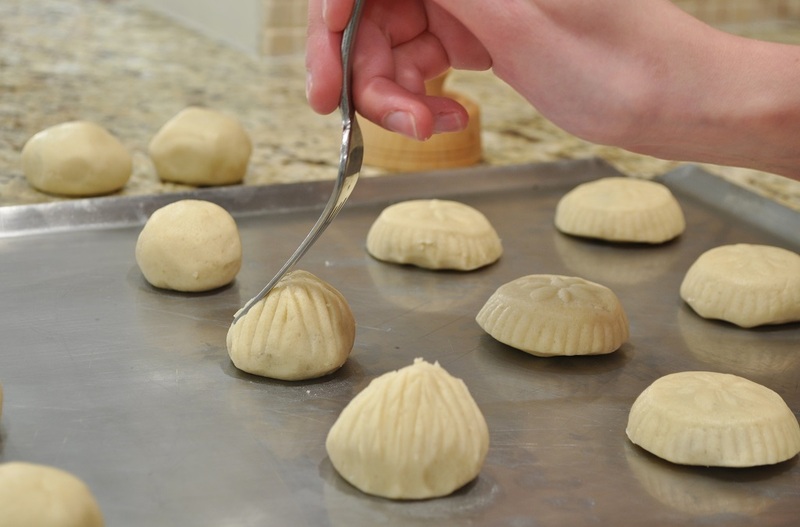 To shape the ma’amoul, measure out a heaping tablespoonful of the dough and flatten it into a thin round. Take two teaspoons of the date filling and roll it into a ball between the palms of your hands. 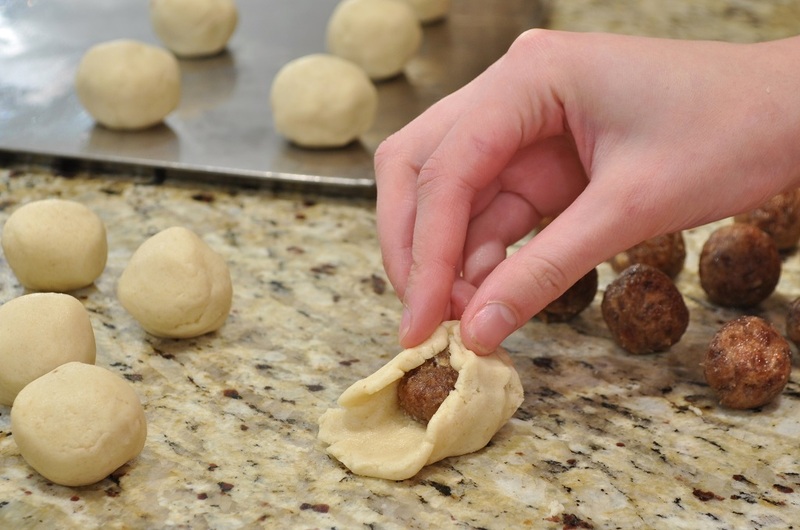 Place the ball of filling in the center of the dough round, bring the edges of the dough up around the filling, and pinch to seal. 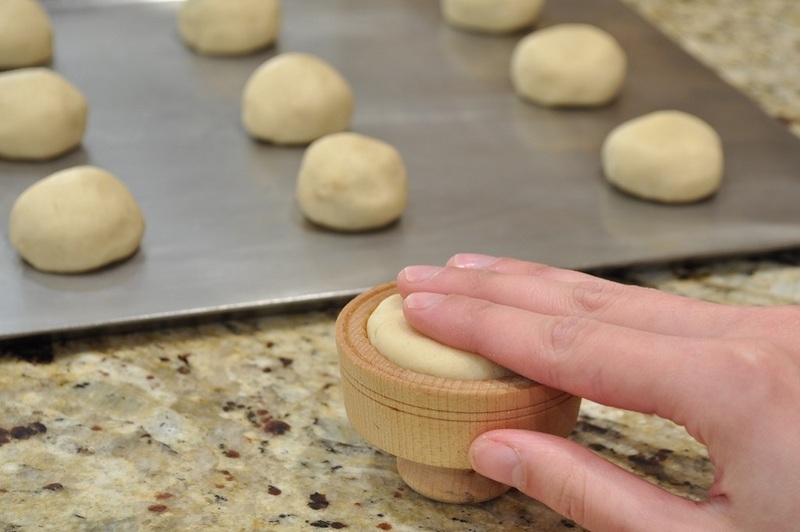 Roll the shaped cookie in your hands to form it into a smooth ball. 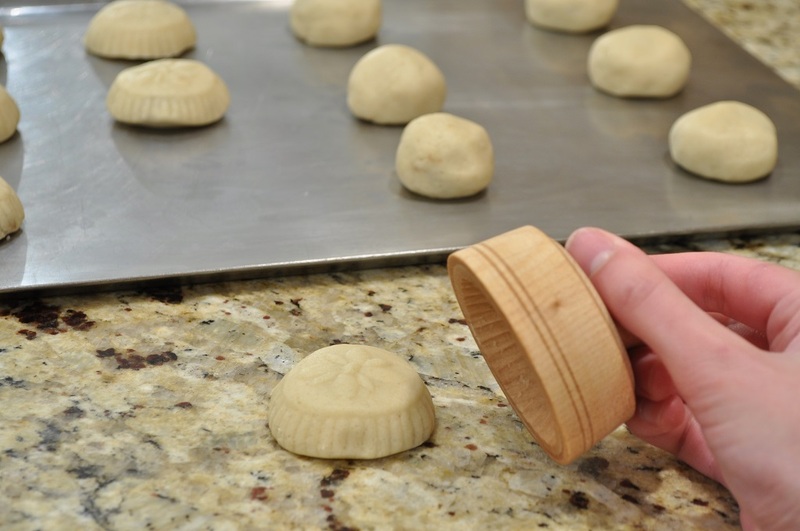 If you have a suitably sized carved wooden mold, press the shaped cookie into the mold to impress the pattern onto it. Sharply tap the mold on the counter to remove the cookie, and then transfer the cookie to the prepared sheet pan. If the dough sticks to the mold, dust the inside with a little flour. If you don’t have a mold, simply score the side of the cookie with the tines of a fork, starting at the base of the cookie and then drawing the fork up to the top. Repeat all the way around the cookie. Once all the cookies have been shaped, bake them for 20 minutes, or until the edges are just beginning to turn light gold. Remove from the oven and dust with powdered sugar immediately. Let the cookies cool on the sheet pans for five minutes, and then transfer them to a wire rack to finish cooling. Store in an airtight container. If you have to stack the cookies, place sheets of parchment paper between each layer. These look delicious! I rarely see dates used in baking so this recipe is really unique. I’d definitely love to try my hand at baking these–it’ll be refreshing to try something a bit more exotic :). Thank you, Rebecca. Dates are one of my favourite dried fruits to bake with, and these cookies are a beautiful way to showcase their flavour. I thinkI have eaten these before at a wonderful place called Koshari Street in London. They had some of the best little Middle Eastern pastries I have eaten and I know I had some filled with a delicious date mixture such as yours do. This is certainly a recipe I would love to try myself and the decorative mould is so lovely. Most probably they were the same cookie. I shall have to stop by there next time I come over to visit London! I adore Middle Eastern pastries. I can’t wait to see what the ingredient is for next month’s challenge!